I’ve chosen to celebrate the first anniversary of Numenware—thanks to all my avid readers for their support—with a list of 25 top neurotheology research issues, along with an index to posts that relate to each topic. Transcendental experience. What are the neurological analogs of transcendental experience—for instance, a particular balance between the sympathetic and parasympathetic nervous systems? Mental illness. Can we map the relationship between religious-themed behaviors on the part of mentally ill people such as schizophrenics and “normal” religious behavior to the neurological factors underlying that mental illness? Polytheism. Can we correlate the difference between monotheistic and polytheistic beliefs with neurological factors? East vs. West. Can a relationship be found between known differences in brain structure and function in Occidentals vs. Orientals and the types of religious beliefs and behaviors that have emerged in West and East? Speaking in tongues. 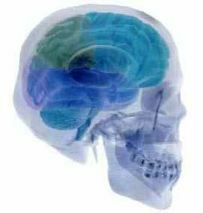 What are the neural mechanisms related to glossolalia, and how are they related to neurology known to be religiously relevant? This entry was posted on Monday, January 2nd, 2006 at 22:45	and is filed under neurotheology. You can follow any responses to this entry through the RSS 2.0 feed. You can leave a response, or trackback from your own site. Readers here may be interested to know about an experiment in applied evolutionary neurotheology called Matrixism. As some of you might have guessed from its name it is a religion based on the movie The Matrix. It incorporates entheogens ina sound way and is a direct application of the principles of evolutionary neurotheology.